The human nervous system is a complex set of nerves, conduction pathways, and brain and spinal cord tissue built to outperform any man-made computer that's been invented. Diseases affecting the nervous system are just as complex, puzzling many doctors and scientists looking for cures and treatment options for them. While we may not have all the answers when it comes to cognitive disorders and brain health, we do know that diet and lifestyle play a role. Most of what we know from a lifestyle medicine standpoint has to do with prevention. 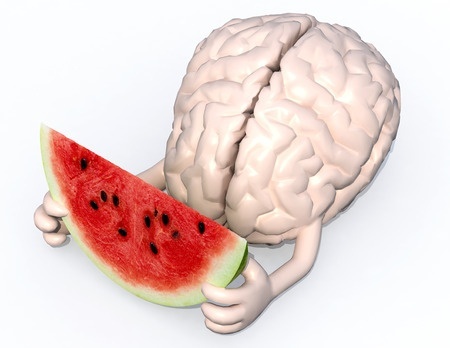 A low-fat, plant-based diet has been shown to protect against Parkinson's disease, dementia, and Alzheimer's disease, whereas a diet high in animal-foods and saturated fat seem to be causative in nature.1-3 Migraine headaches and peripheral neuropathy are two more conditions that may be improved by adopting a whole foods, plant-based diet and avoiding animal foods.4,5 Remaining physically active helps preserve neurological health as well in many of these conditions. To learn more about various neurological conditions check out the articles below. They provide insight on both conventional and lifestyle medicine approaches to cognitive and neurological health. 1 McCarty MF. Does a vegan diet reduce risk for Parkinson's disease? Med Hypotheses. 2001 Sep;57(3):318-23. 2 Giem P, Beeson WL, Fraser GE. The incidence of dementia and intake of animal products: preliminary findings from the Adventist Health Study. Neuroepidemiology. 1993;12(1):28-36. 3 Barnard ND, Bush AI, Ceccarelli A, et al. Dietary and lifestyle guidelines for the prevention of Alzheimer's disease. Neurobiol Aging. 2014 Sep;35 Suppl 2:S74-8. 4 Bunner AE, Wells CL, Gonzales J, Agarwal U, Bayat E, Barnard ND. A dietary intervention for chronic diabetic neuropathy pain: a randomized controlled pilot study. Nutrition & Diabetes. 2015;5(5):e158. 5 Bunner AE, Agarwal U, Gonzales JF, et al. Nutrition intervention for migraine: a randomized crossover trial. J Headache Pain. 2014 Oct 23;15:69.